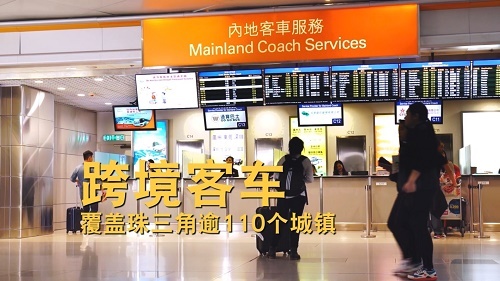 Several service providers offer coach services for people to travel from Hong Kong Airport to Mainland China cities such as Shenzhen, Dongguan, Guangzhou, Foshan, Zhongshan, Jiangmen, Zhuhai, Zhaoqing, Huizhou and so on via differnt border crossings including Lok Ma Chau Port, Shataukok Port and Shenzhen Bay Port. Travelers can go to the coach station which is located on the Arrivals Levels (L3) of the Terminal 2 to purchase tickets and board their buses. With more than 550 daily departures, coaches are available every 10 to 20 minutes providing you convenient and fast transportation service.